Achanak ZOR ZOR se rone Laga..
Salman:"Pyar karte ho to Rota Q hai yaar ? 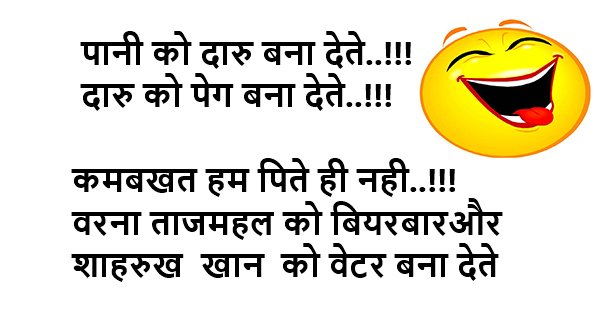 Kiran ki jagah karan likh diya. Q - What is you have Rs 100 Crore in your hand ? Salman - 100 Crore Aane Do Pehle Phir Dekhenge Bhidu. "iPhone is the SHAHRUKH KHAN of the mobile world. SRK's bday and Karva Chauth. Karan Johar is fasting twice over! Srk- mere pass ddlj hai, mannat hai, kkr hai aur bhi bahut kuch hai. Tumhare pass kya hai. Salman- mere pass wankhede ka entry pass hai ! Lagta hai ab Gauri bhi bolegi Mannat mat aao ! SRK was carrying weapons of Mass destruction, DVD’s of RA.one and MNIK ! 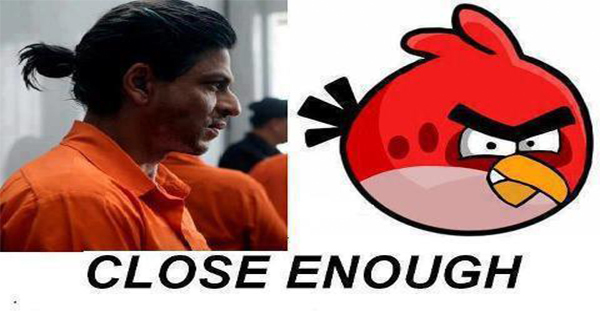 How Shahrukh Khan Makes Profit From Ra.One....??? Ticket seller : Boss, No One Is Buying Ra.One's Movie Tickets. We Will Be Ruined. Theater Owner : Give It For Free. Once They Enter, Close The Doors & Start Selling EXIT Tickets For Rs 500 ! 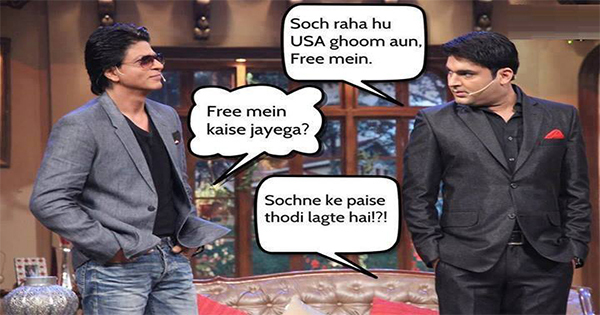 SRK was very happy when he heard that Salman & Aamir were awarded jail sentence by a London court. Only later he realized that they were Pakistani cricketers, he fainted ! Shahrukh Khan Kaunsa Chemical Hai ??? NA Is The Chemical Symbol For Sodium. "Shahrukh khan is a Festival Killer, Ra.1 se diwali to kharab kar di...ab DON 2 se christmas bhi kharab hoga"...!! First Joke: Shah Rukh, Gouri the couple leads a very happy life with their only son Aryan. However they decided to try one more time for one more son, always they wanted. Hum do humara do. After months of trying, Gouri became pregnant and sure enough, nine months later delivered a healthy baby boy. Joyful SRK rushed to the nursing home to see his newborn son. He took one look and was horrified to see the ugly child he has ever seen. SRK went to his wife and said that there was no way that he could be the father of that child. 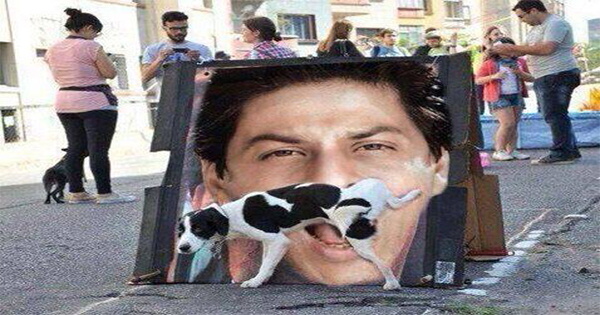 Helpless Gouri said SRK "Look at Aryan, I delivered!" Shah Rukh in reply gave her a stern look and asked, then what happened this time, have you been following around on me?" Gouri could no longer be serious; she smiled and said "Not this time!"